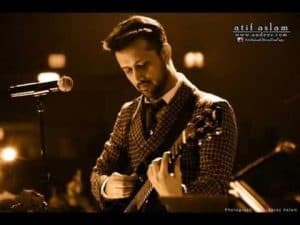 Atif Aslam is one of the most famous and popular singer and also film actor of Pakistani Showbiz Industry. He has managed to make a name for himself in not only Pakistan but worldwide. He has truly become the pride of Pakistan. 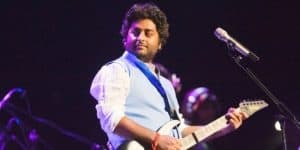 Arjit Singh is a very famous Indian singer, composer and music producer. He has composed some of the most beautiful and popular songs of all time. Just like Atif, he makes his country proud every day. Now imagine these two forces joining hands and working on a single project. Wouldn’t that be marvelous? Well, hold on to your seats tight because that is happening! The superstars of sub-continent are going to perform together in the Bollywood song “Musafir”. The movie “Sweetiee Weds NRI” has four versions of this song, of which one will be performed by the most anticipated duo of both singers. The song is composed by Palash Muchhal who is keen on bringing in talent, regardless of the borders.